We’re proud to soon enter our 23rd season in the Pasadena community! 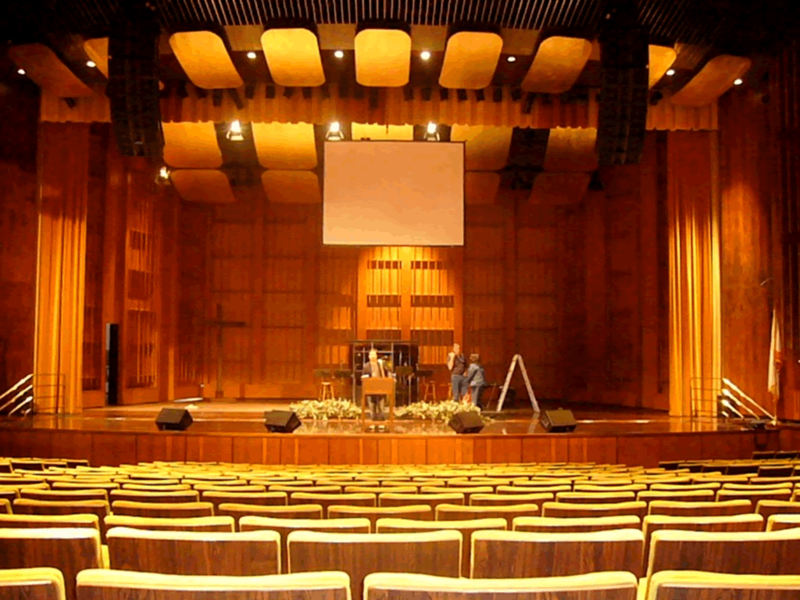 Our Pasadena Distinguished Speaker Series evenings are held at the Ambassador Auditorium, located on the historic Ambassador College campus. Did you know? The Ambassador was notably referred to as “The Carnegie Hall of the West” during the period between 1974-1995 as it hosted some of the most internationally renowned singers and performers. With its stunning architectural design and accompanying reflection pool, you’ll feel as if you’re entering a modern Greek temple! Before attending a #SpeakersLA night, we recommend dining at a local favorite like Cameron’s Seafood, Malbec Argentinean cuisine, The Parkway Grill, Cameron’s Seafood Restaurant, Arroyo Chop House or True Food Kitchen! Parking packages may be purchased when ordering tickets. Exit at Orange Grove Blvd., go North (turn left) and proceed six traffic lights to Green Street. Turn right onto Green Street and park on the street, or go on Green St. and turn right onto St. John Ave. and park on the street or in the parking structure. Exit at Orange Grove Blvd. via the Ventura Freeway (134). Go South (turn left) on Orange Grove, then turn left at the second traffic light onto Green Street and park on the street, or go on Green St. and turn right onto St. John Ave. and park on the street or in the parking structure. Exit at Orange Grove Blvd. and proceed straight onto Colorado Blvd. Turn right at the first traffic light onto St. John Ave., and park on St. John, in the parking structure, or circle the campus and park on Green Street. Take the Colorado Blvd. exit, proceed straight onto St. John Ave., and park on St. John Ave., in the parking structure, or circle the campus and park on Green Street.